these relations is inadequate on at least four fronts. science in the global North is proceeding at an undiminished, if not accelerated, pace. to socio-economic development and the public accountability of scientists and policymakers. Toronto, which will seek to address four broad questions:Why do simple scientific and innovation narratives have such political and policy power? 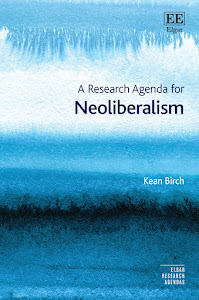 How do public policies, projects and innovation promote particular, neoliberalforms of technoscience? What are the ways we can re-conceptualize global problems in order to challenge and go beyond solutions based on neoliberal technoscience? How might technoscience be democratized and de-commodified so that it better serves collective or public interests? If you have other ideas for papers relevant to the workshop then please do get in touch. Please email your abstracts (250 words max) to kean@yorku.ca and d.tyfield@lancaster.ac.uk by 31st July 2013. Feel free to contact us before the deadline to discuss your ideas.